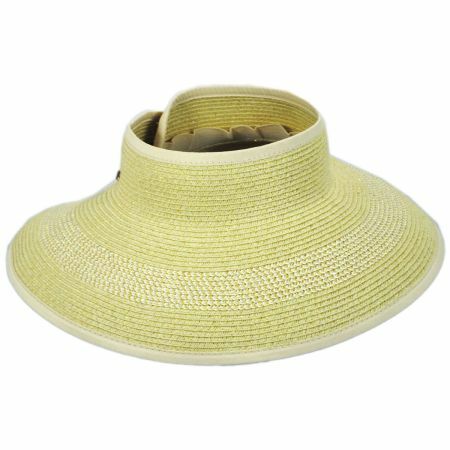 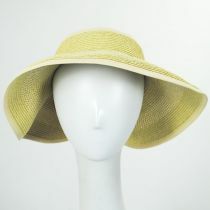 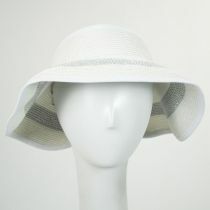 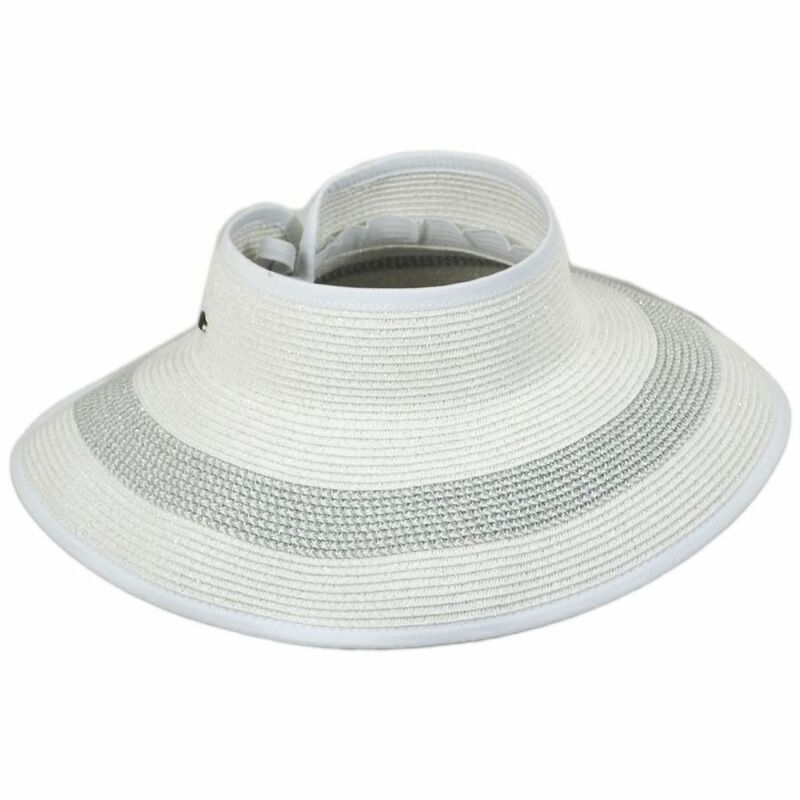 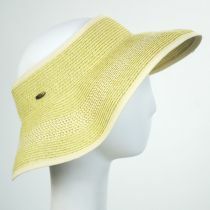 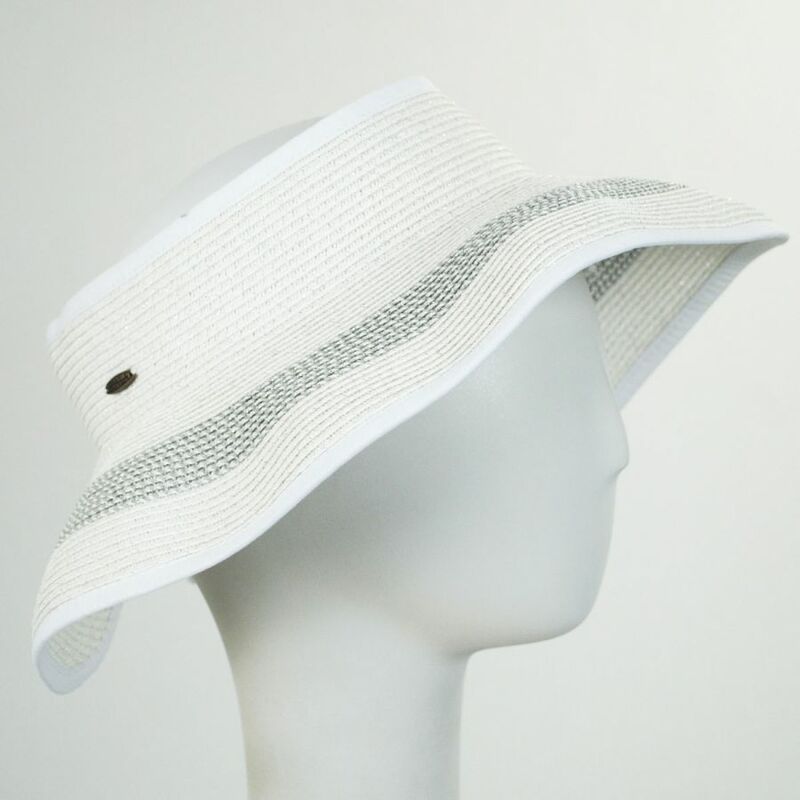 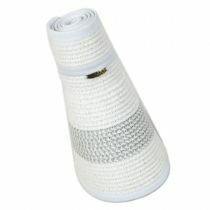 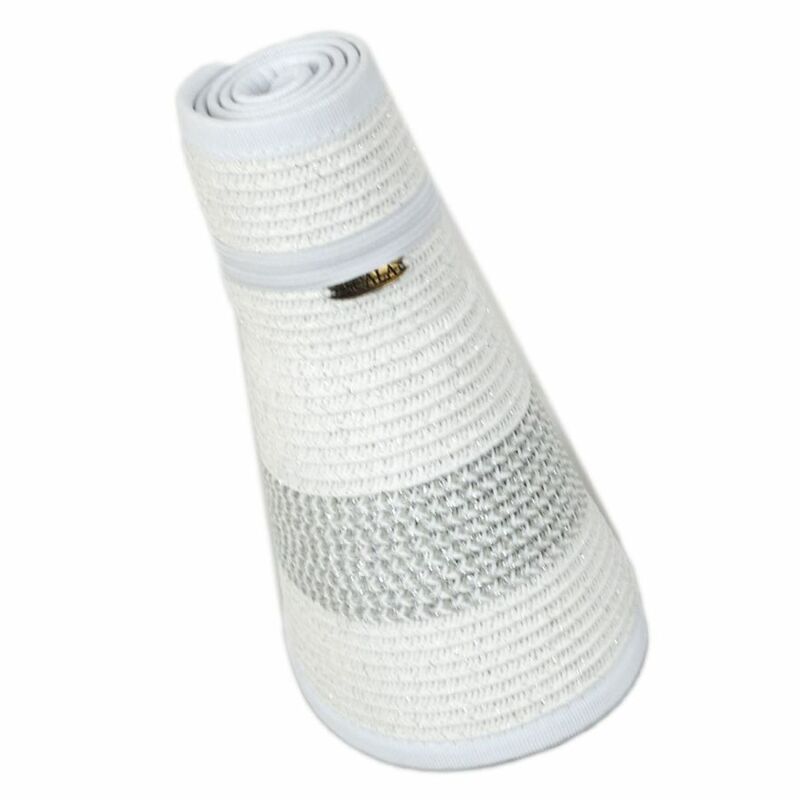 Sparkle your way through the season with the new Metallic Toyo Straw Roll Up Visor by Scala! 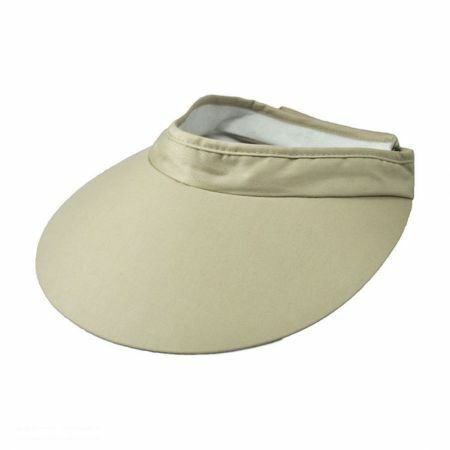 Featuring a wide, 4+ inch brim in a completely rollable design, the Metallic Roll Up Visor provides excellent coverage for your face and ears while making on-the-go storage a breeze. 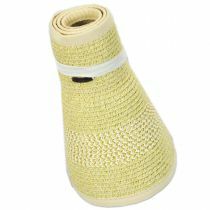 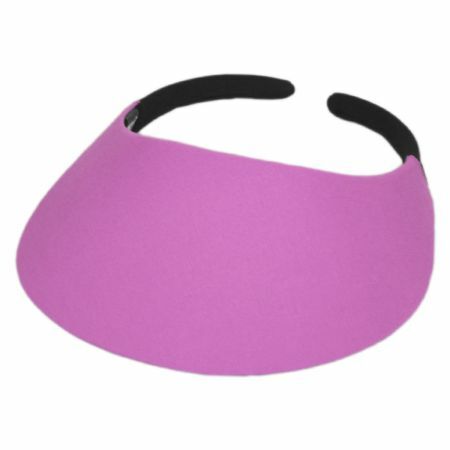 A velcro straw at the back of the visor allows you to adjust its fit so it'll never be too tight or too loose; an elastic strap is provided to keep the visor in its rolled form for easy storage. 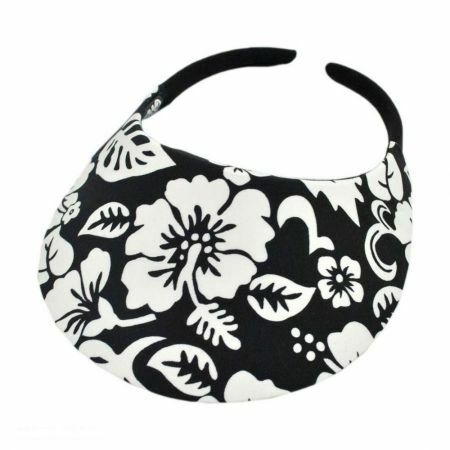 Size: Adjustable - Adjusts to fit up to size 7 3/8 (L) comfortably; adjusts via velcro strap at back.